Singapore – It was only in November last year when the late Lee Kuan Yew’s youngest son, Lee Hsien Yang was seen having breakfast with Dr. Tan Cheng Bock, a former presidential candidate and founder of the new political party called Progress Singapore Party. 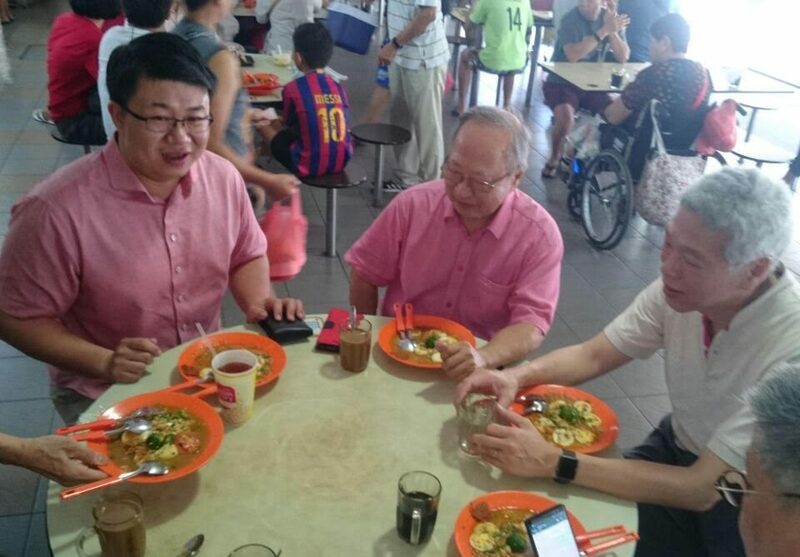 Amidst speculation that the two are forming an alliance, the two were seen once more sharing a meal together on February 2, 2019 (Saturday) at Teck Ghee Market, thanks to an anonymous tip sent to The Independent Singapore. They were joined by four other men, presumably Dr. Tan’s trusted advisors. During their meal, the men were approached and greeted by the members of the public and asked to take some photos. With the possible alliance being forged between the two prominent political figures, netizens are showing their support and even encouraging the two to “join hand-in-hand” in making a better Singapore.